We invite your help to continue our unique work across Canada. 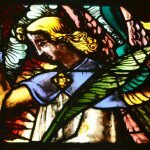 We invite photographers, writers, museums, heritage and Indigenous communities, historians, artists, studios, scholars, and religious organizations, to assist in our challenging attempt to record over two centuries of the ancient — and contemporary — art of stained glass in every part of the country. Your collaboration will enrich Canada’s heritage record for generations to come.